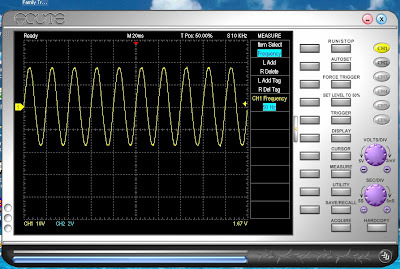 So the waveform collection wouldnt be complete without the 50Hz AC Mains. 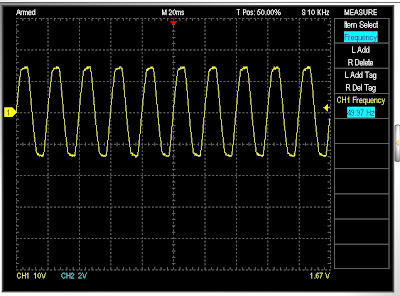 Since the oscilloscope I am currently using is USB powered PC based, it can't handle high voltages such as the 230 Volts AC/Hz available in India. So I stuck my probes onto the secondary of a AC/DC step down adapter..
Just to be safe, I operated the laptop on battery and disconnected the laptop charger from the mains. Wikipedia article on "Utility Frequency"